Our intention is to create a 'Safe Haven' for the youth, a place they can go to and be themselves completely, where they will have necessary support to explore their own abilities in their own time, without fear of judgement or discrimination, where they can meet and interact with a diverse range of other cultures with the potential to learn from each other in the process. This will be done by means of: Creating indoor and outdoor spaces specifically for this purpose. Organizing workshops - art, music, horticulture, self-awareness, self-sustainability, and more. Organizing community 'Clean up/resurrection' projects involving both youth and adult members of the community. Providing the necessary support required in order to assist all members on the journey of 'finding their place in society', for them to be able to explore the many different options available before deciding on their chosen paths. The key to the future is within our children, all we have to do, is encourage and build with them. Embrace the magic they are blessed with, know that their abilities are a divine gift. A gift we should treasure, shower their uniqueness with pleasure. Do not become their oppressor. your childs abilities will guide you through life, through the warmest days, and darkest nights, they will be at your side, and will help you to fight. Never underestimate their abilities, they are more clued on than they seem to be. they see everything we refuse to see. Allow them to become everything we as a species failed to be. in their minds, we plant the seeds, as they grow, we water and feed, they will show you what they need, just teach them well, and let them lead. Teach them love, respect, and gratitude, teach them manners, and not to be rude, teach them life will reflect their attitude.. "do all you can to ensure they elevate higher"
Gaia United is a community based organization, created with the intention of uniting, first and foremost; local communities, with opportunities to expand into wider community bases. Our main audience is the youth (aged 16 and under) but we also welcome ALL members of the community, both young and old. 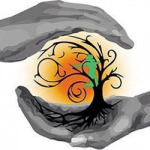 Our aim is to build connections within the community in order to build; strong, healthy, long-lasting relationships between all members and to teach appreciation of our Mother Earth and all inhabitants. We intend to accomplish our mission by means of creativity, mindfulness, self-sustainability, equality and of course LOVE. Love being at the core of our mission. Love for one another, Love for nature, LOVE FOR LIFE. Our intention is to create a 'Safe Haven' for the youth, a place they can go to and be themselves completely, where they will have necessary support to explore their own abilities in their own time, without fear of judgement or discrimination, where they can meet and interact with a diverse range of other cultures with the potential to learn from each other in the process. Project Delivery Manager: Gaia United The Project Delivery Manager takes legal responsibility for receiving and spending the funds raised and ensuring the project is delivered.